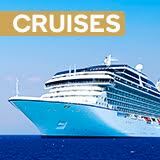 Tours advertised through Kogan have proven well organized and enjoyable experiences. Our experience was that Kogan gave 1st rate service and communicated well and in a timely fashion. Knowledgeable, timely and excellent service to our questions. We had an excellent trip to Japan with wonderful guides Eugene in Tokyo and Kay in Osaka.The hotels were in great locations and everything exceeded our expectations. Booking was so easy, site was impressive and the booking was excellent value for money. My booking was exceptional. Cannot fault the hotel and extras. The hotel was great & conveniently located. The staff were wonderful & ever so helpful. Seamless. Everyone was excellent, professional and friendly. Accommodation and food were great. It was so easy to book & all we had to do was turn up & check in. Hassle free travel. Our agent was the most helpful person. All questions were answered. The tour was exceptional, everything arranged and wonderful tour guides. I like the organised tour. I thought it represented good value for money and it covered a good range of tourist attractions within the time frame. Simple to book. Accommodation exceeded expectations. The price of trip & the company used was very easy contact before & during holiday for enquiries. We extended our holiday with no problems and were well looked after right up to boarding flight home. Excellent service, fantastic guide. Jitu, Porters Saroj & Rajan made trip enjoyable, fun and safe. Would recommend for any age. Fantastic value for money holiday. Experienced guides who are informative and helpful. Comfortable clean buses with excellent drivers. Good accommodation in locations that were close to all that was happening in the city's visited. Definitely great value for money. Organised very well. No hidden costs. Great guides, meals and very good accommodation. Also the, agent was easy to contact and very responsive to any questions by phone or email. Affordable offer at a really enjoyable place. We have recommended Couran Cove to many of our family already. Thanks! Excellent tour with knowledgable & friendly tour guides. Great value for money. Excellent holiday. Ran perfectly with great guides, comfortable coach, upgrades when available. Accommodation up to standard. We had a great time and everything was well organised. We didn't have to worry about anything. We were very happy with the tour and also in dealing with the tour operator in arranging our flights etc. 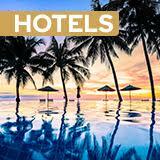 I would definitely consider looking at your deals for future holidays. Everything was easy and well coordinated especially compared to other trips we've taken via other providers. From the minute I spoke to Kogan staff for my first inquiry to the moment I stepped off the plane on my RETURN from our trip everything was very smooth. Very professional and very very well organised. IT was all ABOVE my expectations and there was nothing to complain about. I actually felt guilty as we should have paid over $3000 instead of $999! 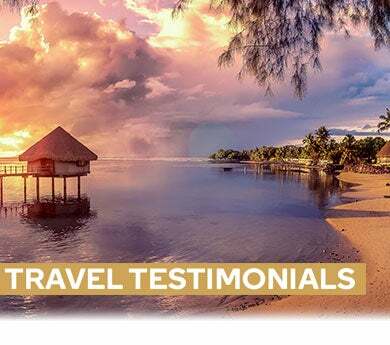 The advertisement showed the resort very well, the holiday offer represented good value for money and it was so easy to complete the booking. Everything went very smoothly and was well priced - great value for an awesome experience.